While genes have a big role to play in hair loss, here are some tips to keep your scalp healthy in the long run. 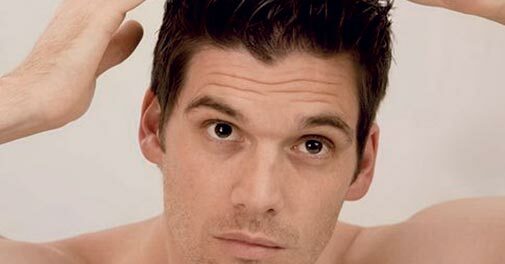 Many men, especially those with oily hair, get plagued with dandruff - increasing the chances of hairfall. Use shampoos that contain aloe vera to keep dandruff away; it can have long-term repercussions on your scalp. Have food with lots of vitamin A (lettuce, carrots), which encourages production of sebum in the scalp, and vitamin E (apricots, peanuts), which enhances blood circulation in the scalp. Protein-rich foods also help. People who have been experiencing hair loss on a regular basis must massage their scalp with essential oils that help your hair follicles remain active. Adding lavender to almond or sesame oil can further help. Avoid brushing your hair or combing when you are just out of the shower because hair is in its weakest state when it's wet. If you simply must style wet hair, use a wide-toothed comb that ensures minimal breakage. Smoking reduces the amount of blood that flows to the scalp, causing a slump in hair growth. That's not all - there are over 4,000 chemicals in cigarettes that affect the way your hair looks and smells, and ultimately comes off. Numerous studies have found medical evidence linking stress to hair loss. De-stress yourself through yoga and meditation and, believe us, your hair won't be the only part of your body thanking you for it.